(Newswire.com) – Monroeville Zombies, the zombie themed shop and attraction in the Monroeville Mall, will host a charity car wash with an unusual twist: ZOMBIES! The event will bring back to the Monroeville Mall a horde of zombie re-enactors who do not want your brains, but rather your dirty cars. The participants are volunteers who enjoy dressing as zombies and will do so to raise money for the Animal Rescue League of Western Pennsylvania by washing cars. 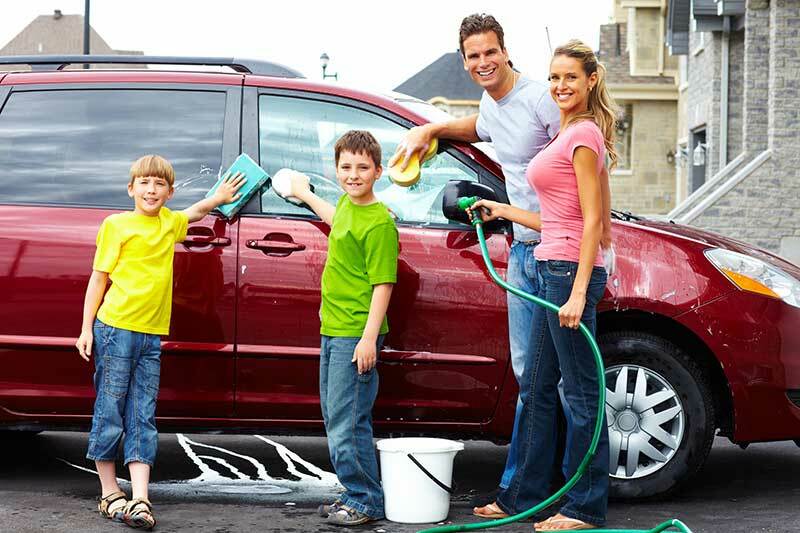 The charity car wash will take place on August 28, 2010 from 10:00 AM to 6:00PM in the rear parking lot of the historic Monroeville Mall. Participants coming to get their cars washed with the best car wash products are also encouraged to dress as zombies to get a $2.00 discount off the $10.00 wash fee. Zombies are always welcome at the Monroeville Mall, which served as the location of the 1978 zombie film, George A. Romero’s Dawn of the Dead. Over the years the mall has become the gathering point for zombie fans with film location tours, zombie walks and even a permanent zombie attraction, Monroeville Zombies, inside its Time and Space retail store. About Monroeville Zombies: Monroeville Zombies is a museum and tourist attraction celebrating Zombies in Pop-Culture. Located in the historic Monroeville Mall, location of the original film, George A. Romero’s Dawn of the Dead , the themed attraction takes fans through a visual history of zombies in cinema. Displays of props and memorabilia are woven into a presentation featuring interactive experiences and zombie gift shopping. For more information, visit www.monroevillezombies.com. About Animal Rescue League of Western Pennsylvania: The Animal Rescue League urges the public to visit the shelter’s main facility, located in Pittsburgh’s East End at the corner of Fifth and Hamilton Avenue. Each adoption that occurs also helps the shelter meet its goal of finding homes for more than 5,000 adoptable pets in 2010. The League hopes to successfully complete its Drive for Five Campaign as it did in 2009. The Hamilton Avenue facility operates 7 days a week for adoptions. Pets in need of homes can be viewed 24 hours a day on the Adoptions Page at www.animalrescue.org For members of the community wishing to assist the Animal Rescue League by means of adopting, fostering, volunteering, or donating can telephone 412-661-6452 or visit www.animalrescue.org for more details on the League’s many programs and services that help animals in need. THE ANIMAL RESCUE LEAGUE OF WESTERN PA’s mission is to provide temporary shelter, food, medical attention, and comfort to all abandoned, neglected and injured animals brought to us by the community; to restore lost animals to their owners or seek new homes for them, and to educate the public about the humane care of animals with a goal of reducing overpopulation.